A notable deal includes Alibaba's US$1.53b investment in a Hong Kong logistics hub. 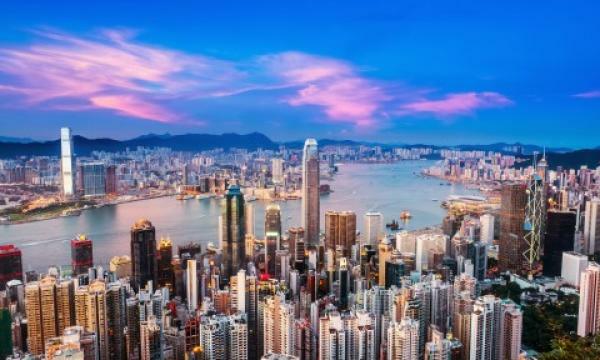 Technological companies seeking industrial facilities have emerged as the new growth driver of Hong Kong’s industrial property sector in the first half of the year, according to real estate consultant CBRE. Data center operators, for instance, leased a combined 344,000 sqft in Shatin. 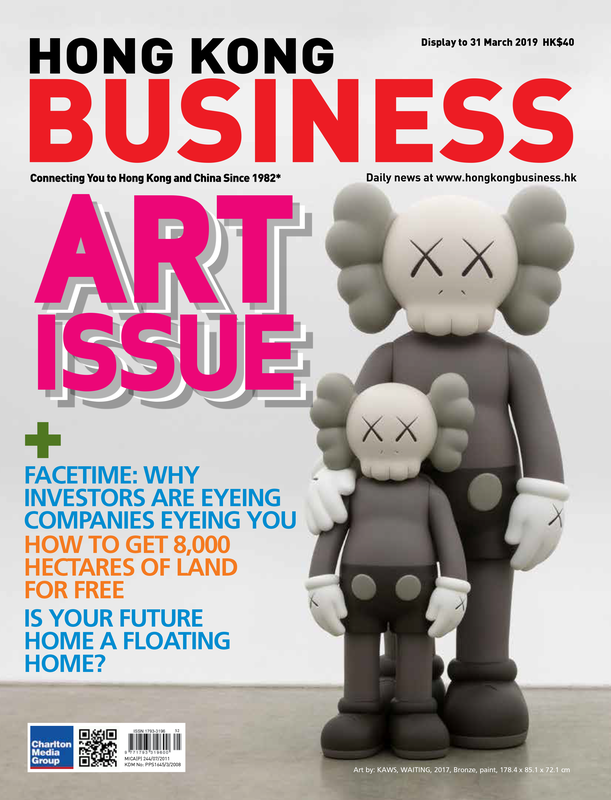 The awarding of two logistics sites on Siu Leng Shui Road in Tuen Mun and at Hong Kong International Airport (HKIA) for building smart logistics and e-commerce operations also highlighted strong demand for tech-enabled industrial space, said Samuel Lai, senior director, advisory & transaction services – industrial, CBRE Hong Kong. Alibaba Group Holdings logistics affiliate, Cainiao Smart Logistics Network is leading a joint venture to invest US$1.53b in a logistics center at HKIA as the company targets achieving 72-hour global delivery. Relocations also continued to strengthen with an electronics distributor moving from Western Plaza to East Asia Industrial Building in Tuen Mun and a third-party logistics company relocating to ATL Logistics Centre in Kwai Chung from Kerry Godown (Sheung Shui). A local beverage company also secured over 300,000 sq ft in Tuen Mun in Q1 in light of possible forced relocation from its original site at Yuen Long. It sold its factory at Lai Sun Yuen Long Centre for $1.4b at a price of $3,611 per sq ft. 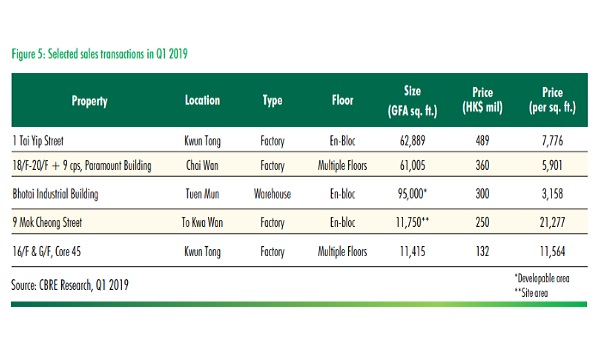 Overall warehouse rents inched up 0.2% QoQ in Q1 with steady leasing activity in New Territories West raising rents for cargo-lift access facilities by 1.4% QoQ whilst rents for ramp-access buildings dipped 0.5% over the same period. Rents for flatted factories rose 0.6% QoQ whilst rents for I/O buildings stabilised after declining for three consecutive quarters. “The Hong Kong–Zhuhai–Macau Bridge and Express Rail Link will be in operation later this year. 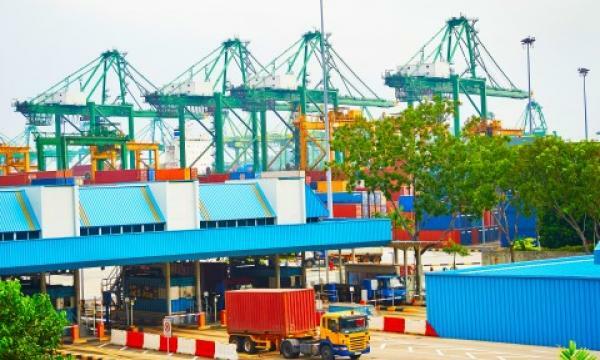 The flow of logistics and people and subsequently demand for related facilities and services is set to bring new excitement for the industrial and logistics sector,” Lai added.